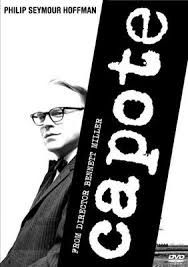 The Rockport Film Review: Phillip Seymour Hoffman's Oscar Winning Role "Capote"
Phillip Seymour Hoffman's Oscar Winning Role "Capote"
A high point in the career of Phillip Seymour Hoffman was his Oscar-winning portrayal of Truman Capote in the 2005 Bennett Miller film "Capote". 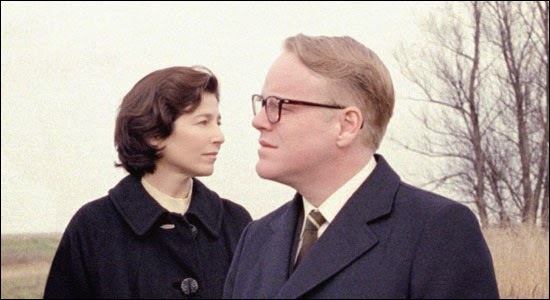 Hoffman's transformation into the flamboyant and controversial writer was striking in that he completely lost himself in the role and seemed to virtually channel Capote's spirit. From the voice, the mannerisms, and everything in between this was Hoffman's role of a lifetime. "Capote," tells the story of how he wrote his most famous book "In Cold Blood", the true story of a quadruple homicide in rural Kansas in 1959. Together with his research assistant Harper Lee, who would write a modern masterpiece herself in "To Kill a Mockingbird", it took Truman 4 years to write. Although the story only encompasses about four years, we are given and very intimate look at the life of Capote. Who he was, his thought processes, and much more. All of this would not have been possible without the amazingly authentic portrayal by Hoffman. Two men are eventually arrested and convicted of these brutal murders, Perry Smith and Richard Hickok. To get access to the men, Capote bribes the warden and begins a sort of strange relationship with Perry. Truman is very empathetic to Perry's life and upbringing. He humanizes him to the public and helps him get a new Lawyer and possibly a new hearing. Capote's motives and ethics are one of the driving forces of the film. He is writing a true crime novel but personally influences the events to fit a sort of storyline. Although he exploits Perry for his story, he has trouble holding back some very strong feelings for him. While the men are on death row and keep getting stays of execution, Capote is driven to the brink of collapse since he is unable to finish his book until they die. During this time Perry's pleas for help go unanswered as Truman is unable or unwilling to help anymore. He needs to be done with this book and Perry. At the end of the film, we are told that after writing "In Cold Blood" Truman Capote never finished another book and died from alcoholism in 1984. It's an amazing movie although a very slow burn and meticulously put together. It's a character study like no other.